For centuries, Galen the Treacherous has been the most hated immortal in the Underworld. With good reason! This bad boy of bad boys has lied, stolen, cheated, and killed with abandon. Possessed by the demons of Jealousy and False Hope, he has always lived for a single purpose: destroy everything. Former demon turned human femme fatale - Legion Honey - sought to kill Galen, but ended up parting with her virginity instead. Afraid of their sizzling connection, she ran away…and ended up trapped in hell, tortured and abused in the worst of ways. Now she’s free, and a shell of herself, afraid of her own shadow. 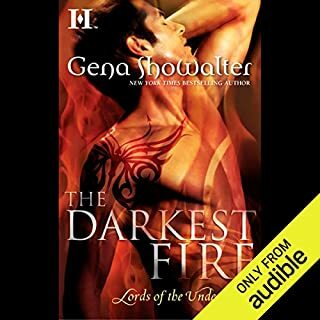 ©2018 Gena Showalter (P)2018 Audible, Inc.
Galen turns out to be just what Legion needs! Who would have believed that Galen could be exactly what Legion needed to recover from her time in Hell? Patient, kind, giving, understanding, Galen even took the time to remind Legion that she not only could defend herself but that she was a fighter! Legion blooms under his tutelage! She regains her confidence, she becomes stronger and then finally, together, they find the love they both always sought but did not think they deserved! Galen and Legion are my favorite couple! I was so excited when this book came out and I had to get it as soon as possible and I was not disappointed. Gena Showalter strikes again with another Amazing Story! I just wish it was longer. Max Bellmore did a great job as always. Love the strenght in this woman and how she come to find her strenght. Love that she finds her real love. Listening to our heart is sometime hard to do but she is strong and she takes women to a new place. was glad 4 legion & Galen's story. I loved it. was glad to finally hear Legions story. She deserves to be happy after what was done to her. So happy that it was with Galen as well. I wanted to finally hear his story as well. I wish she would have made it a little longer so we could of gotten into more of why Galen did all those bad things. I mean he was the bad guy for so long but you never get a proper reason as to why he did what he did. Still a good listen. I hope Fox's story is next. Although I feel that Galen and Legion Honey should have gotten a full book I really liked this novella. It had a major "feel good" vibe to it. 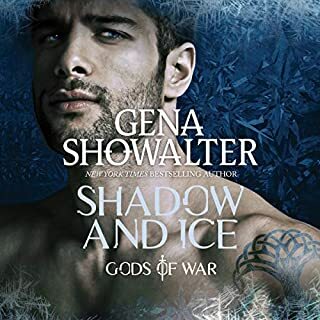 Longtime fans of the LOTU series have been waiting for Galen's redemption story and Gena Showalter did not disappoint! To me the best thing about this read/listen is that the romance was wonderful and plentiful. It was there from the very first words of the story. It was present in both obvious and understated ways. I loved that! For a novella there sure was a lot going on in the story. I think Showalter did a great job summing up the fine points of the series' history so that someone who doesn't know the LOTU series could read the novella, understand what was going on in the grand scheme of things and jump right into the tale. 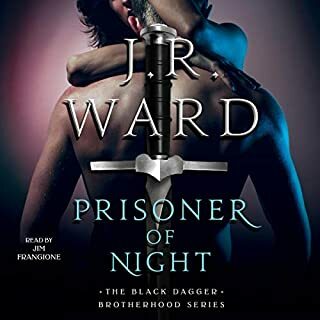 The only thing that bothered me about THE DARKEST CAPTIVE was that Galen seemed very similar to some other males in the series. I wanted more individuality from him. I'm afraid Showalter's heros are starting to seem the same. Max Bellmore gave his usual fantastic performance. He never fails to satisfy my ears while he pulls me into the Lords' world and brings Showalter's characters to life. Love the Lords!! Showalter & Bellmore Are AWESOME. No one could narrate These books like Max Bellmore. Gena Showalter has wrote another great story about one of the lords. I can't wait to read Williams story. is this even a LOTU book? This has got to be the worst book ever written! The dialogue in this story was fantastic, the story itself was an interesting idea, but it didnt execute with the excitement and action I expected, plus thw story was far too short! !